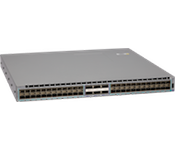 The Arista 7160 series are purpose-built 10/25GbE and 100GbE data center switches in compact and energy efficient form factors with wirespeed layer 2 and layer 3 features. 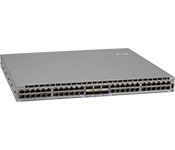 They combine scalable L2 and L3 resources with an adaptable forwarding engine and a highly programmable and customizable switch architecture that supports multiple overlay technologies and advanced encapsulations. 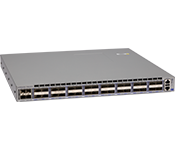 Simple software updates allow reconfiguration of packet parsing, lookups, traffic scheduling, packet modification and traffic monitoring without re-engineering of the switch.